Does Drinking Water Flush Caffeine Out of Your System? Water helps your blood cells carry oxygen and nutrients to your organs, and also helps them carry away waste. Unfortunately, drinking a lot of water won't flush caffeine out of your system any faster than would happen normally. Still, the good news is that drinking several glasses of water a day helps keep your blood flowing smoothly. Even better news is that if you're trying to rid your system of caffeine, staying well-hydrated can help a little bit with the headaches that come with caffeine withdrawal. Everyone's water needs are different. A college triathlete in Arizona requires much more water than a five-year-old in Alaska. Age, gender, size, activity level and geographic location are all factors to be considered. But as a general guideline, drinking eight 8-oz. glasses of water per day is a good place to start. Drinking water at every meal and with every snack, or carrying a 32-oz. bottle of water around, are both good ways to stay hydrated. 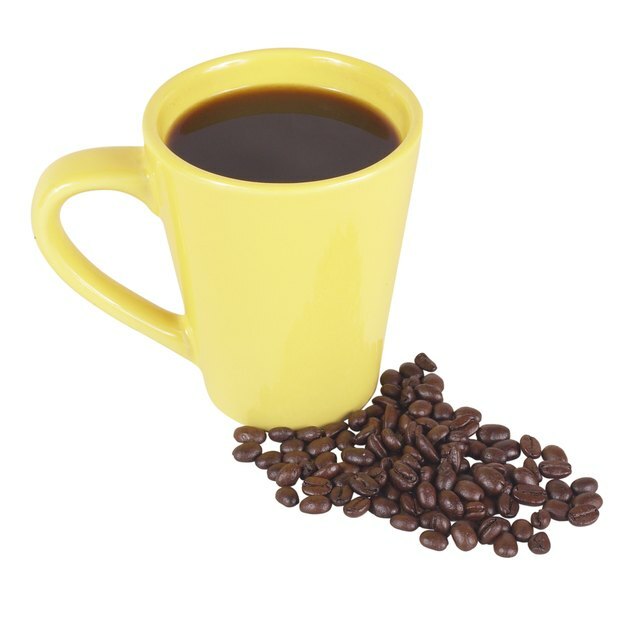 Caffeine is a mild stimulant that works on your central nervous system. Not everyone is sensitive to its effects and some people are more sensitive than others. As with most stimulants, you will eventually build up a tolerance to caffeine, and may find yourself needing three cups of coffee to wake up instead of just one. The average adult passes about 32 oz. of urine every day, most of it during daylight hours. Urine is what is left over after your body breaks down the foods you eat and the fluids you drink, including those that contain caffeine. This process cannot be forced to go any faster, but the more water you take in, the more urine you will put out. This does not help flush caffeine from your blood any faster, but staying hydrated supports your urinary system as it does its work. As there's no way to immediately flush caffeine out of your body, the only long-term solution to "caffeine jitters" is to limit or even eliminate your caffeine consumption. Coffee and tea contain caffeine, and so do chocolate and cola drinks. Some energy drinks contain particularly high levels of caffeine. Start eliminating your sources of caffeine one at a time, and cut down little by little on your main source. If it is coffee, have one cup of caffeinated coffee in the morning, and then switch to decaf. Or use a mixture of regular and decaf coffee, and shift the balance toward decaf by one-half scoop per day. This way your system can flush the caffeine from your body naturally, over time.